Enhance the front appearance of your BMW E92/E93 with a dash of aggression with this new Carbon Fiber Front Lip for E92/E93 3-Series equipped with an M3 Style Front Bumper! This lip features REAL, high quality Carbon Fiber construction that offers it both strength and light weight and features a clear coat for gloss. FOR USE WITH M3 Style front bumper - Bumper NOT included. Enhance the front appearance of your BMW E90/91 with a dash of aggression with this new Carbon Fiber Front E92/E93 equipped with an M3 Style Bumper! 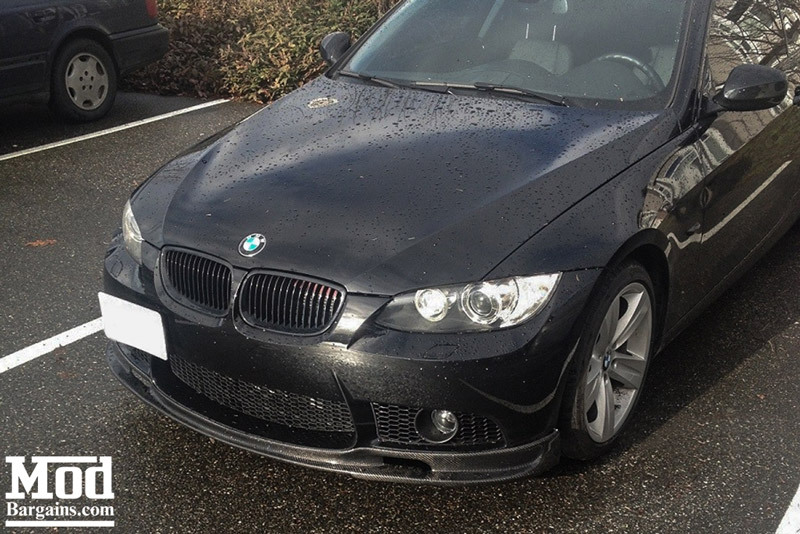 This minor upgrade adds a stunning new aesthetic to your 3 Series' front end. It features REAL, high quality Carbon Fiber construction that offers it both strength and light weight and features a clear coat for gloss. 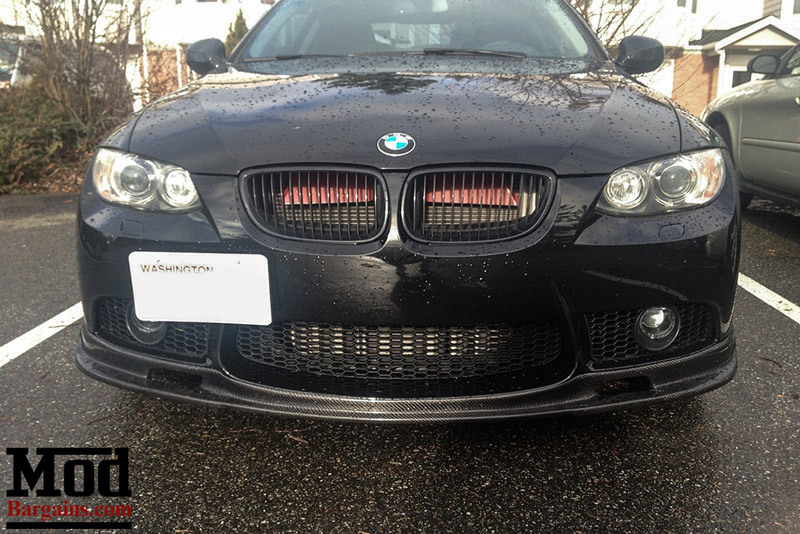 This BMW E90/E91 Carbon Fiber Front Lip is very durable and does not expand or shrink with temperature changes. Customize your 3 Series' M Tech Bumper today with this Carbon Fiber Front Lip from ModBargains!